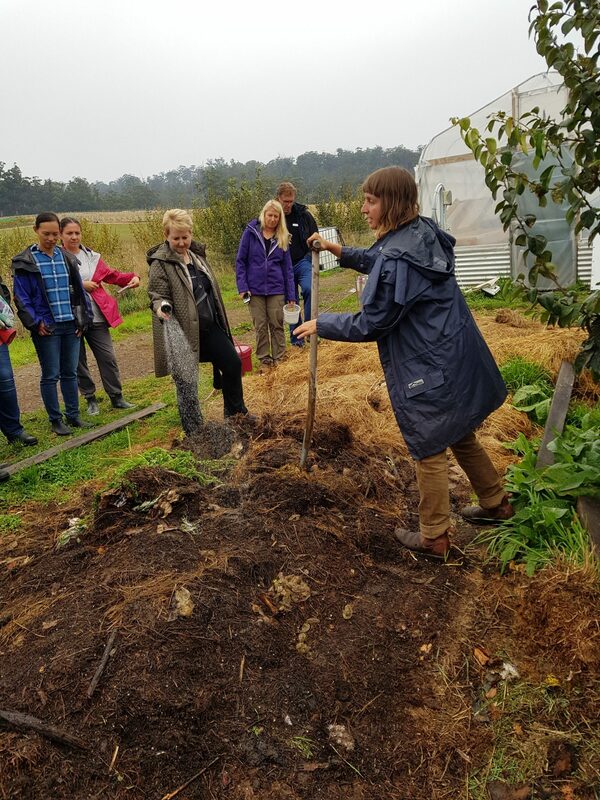 At our recent Real SKills for Growing Food workshop at Fat Pig Farm, Nadia (their head market gardener) joined our teaching team and gave us all a tour of three worm farms for tiny, medium and large gardens. While we currently haven’t got a worm farm set up at our own place (we will soon), we’ve kept them quite a lot in the past and have written about their many benefits here. 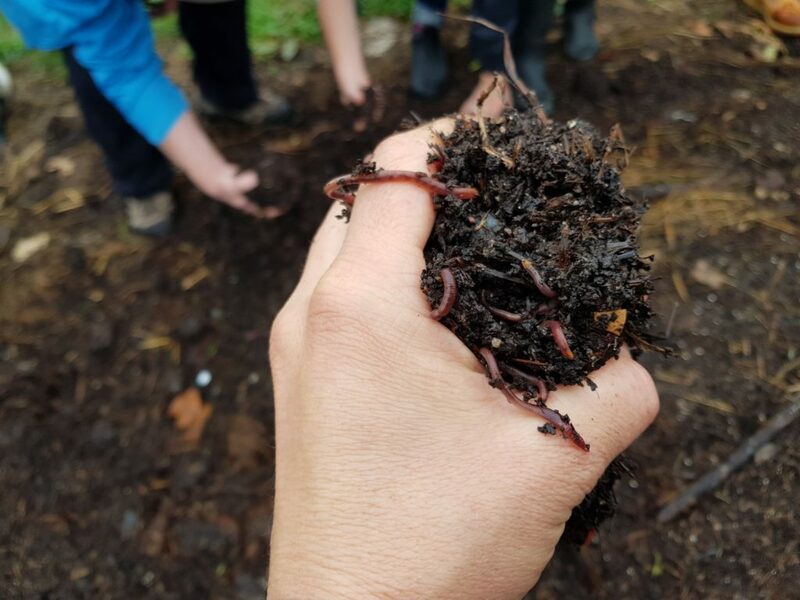 But just quickly, compost worms are different to the common earthworm you see in your lawn… Compost worms are red wrigglers and tiger worms – you can buy these from nurseries, but you can usually find them at your local school/community garden if you ask nicely. Do not put the common earth worm into a worm farm – they will die. 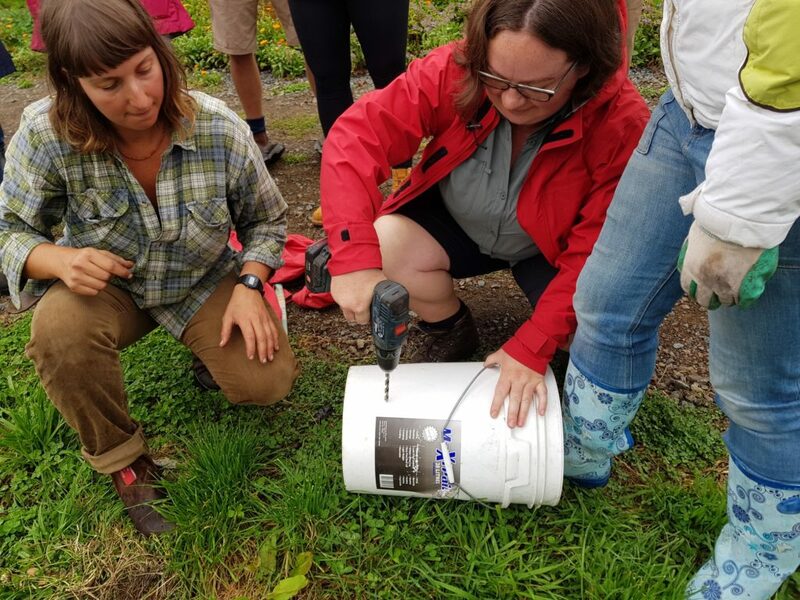 Compost worms in mature worm castings – soooo good! Pretty impressive! The good news is that pretty much anyone can keep worms – whether you have a balcony garden or a paddock. Here’s how. The smallest type of worm farm we know of is dead easy to make yourself. There are quite a few methods, this is one of our favourite. All you need is a 20 litre bucket with a lid. Drill holes in the side (covering around 2/3 of the bucket), the bottom and a few in the lid. These holes are there to let the worms come in and out, as well as air and small amounts of moisture. Bury the bucket into the garden bed, or into a raised bed on your balcony/courtyard. You want to have at least 2/3 of it buried – basically the area which has all the holes drilled into it. 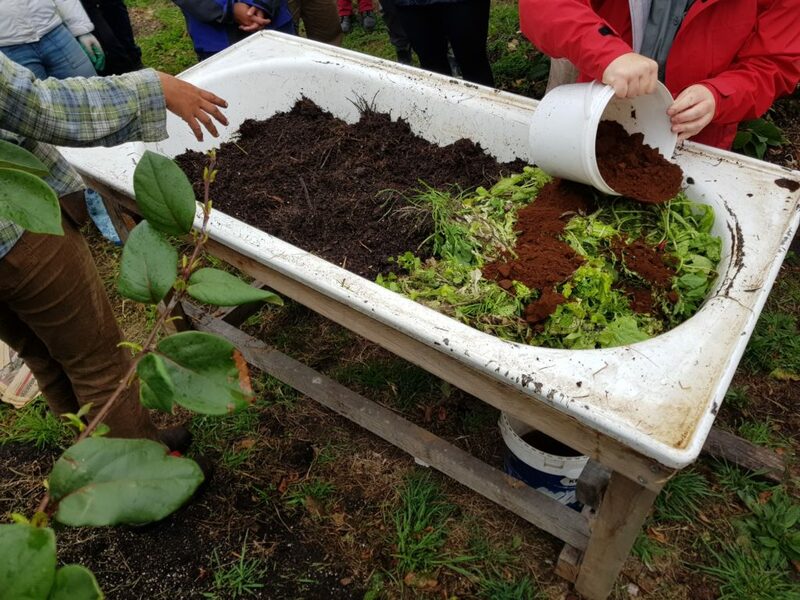 Add some moist straw/mulch and a big handful of worms (with mature worm castings) into the bottom of the bucket and then add a small amount of food waste (not shown). Keep the lid on top to control moisture (from possible rain) and to help create a mostly sealed bucket (with the exception of those holes) which will help prevent rodents getting to the food scraps. And that’s it – so easy and so effective in making delicious compost for your garden insitu. 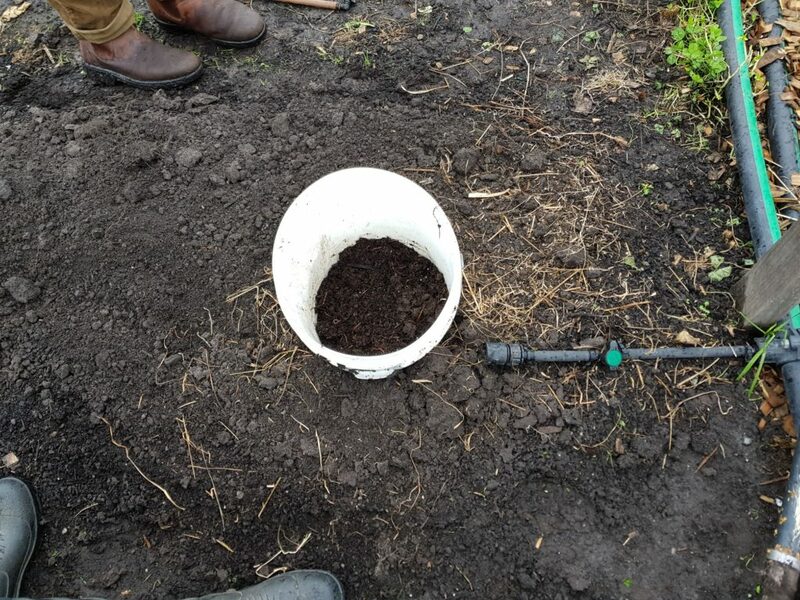 The worms travel in and out of the bucket, spreading the nutrients to the area immediately around it. Once you’re bucket’s full of food waste, let it rest so you allow the worms to eat it all. 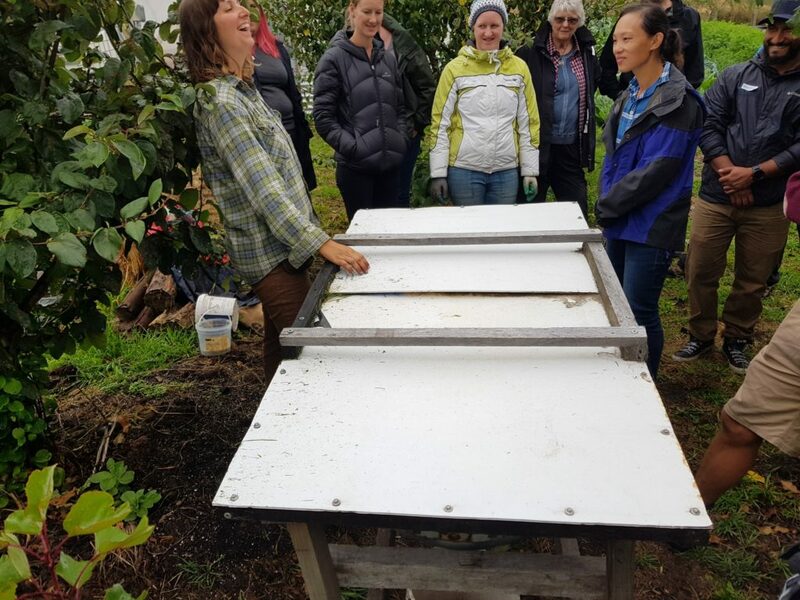 In this time, you can start a second worm tower, or use another type of compost system as well. 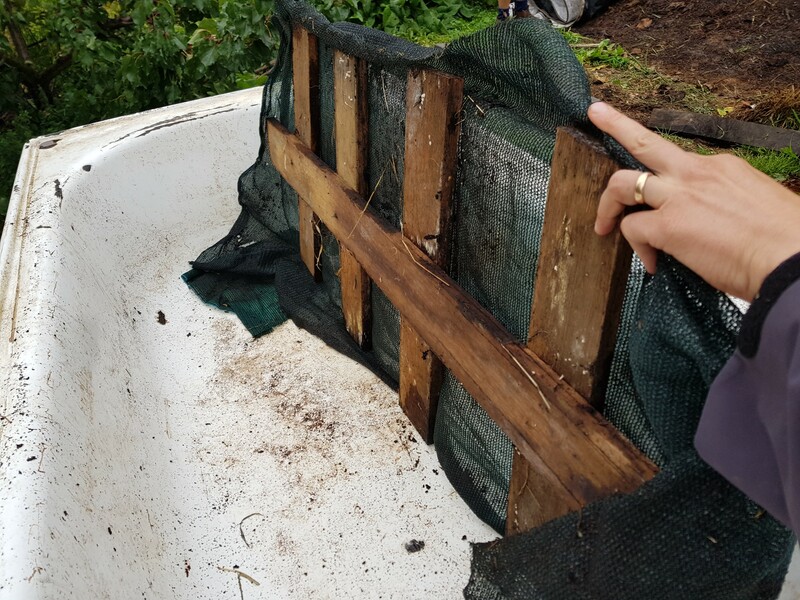 For those that have a bit more space and food scraps, you can make your own worm farm from a bathtub and timber frame. 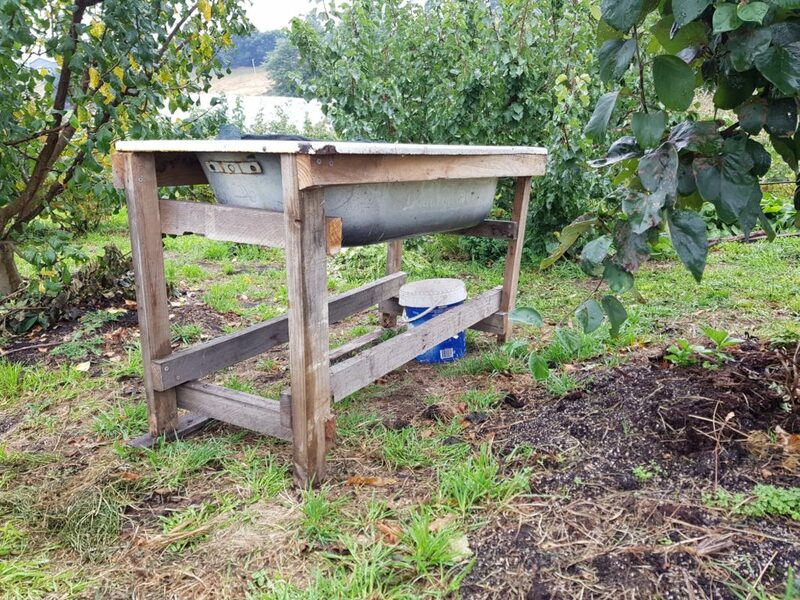 I’m quite fond of this method as its rodent proof (with the addition of a lid), you can catch the worm wee out of the drainage hole which is beautiful fertiliser for the garden (dillute it 10:1 with water before watering), and if you want to, you add a timber lid which can then double as a work bench! You can also store pots and other gardening materials beneath the tub. So good. To get started, biuld a timber frame that can support your bath and then create a false floor as seen below. This will help the whole farm drain liquid into a waiting bucket. Next up, add a layer of straw, followed by a healthy layer of worms and mature worm castings. You can then start adding food for the worms, including leafy greens, coffee, animal manures (not cats) and food scraps (go easy on citrus, onions and meat). Put a blanket of hessian or ink-free cardboard on top and water it in. Once water starts coming out the drainage hole, that’s enough. The hessian helps maintain an even temperaature and moisture levels inside the farm. Finally, add a protective lid on top to keep out rain and rodents. Nadia uses some corflute on a timber frame for her lid. As I mentioned earlier, you could built a timber lid into your frame which can then double as a bench top. 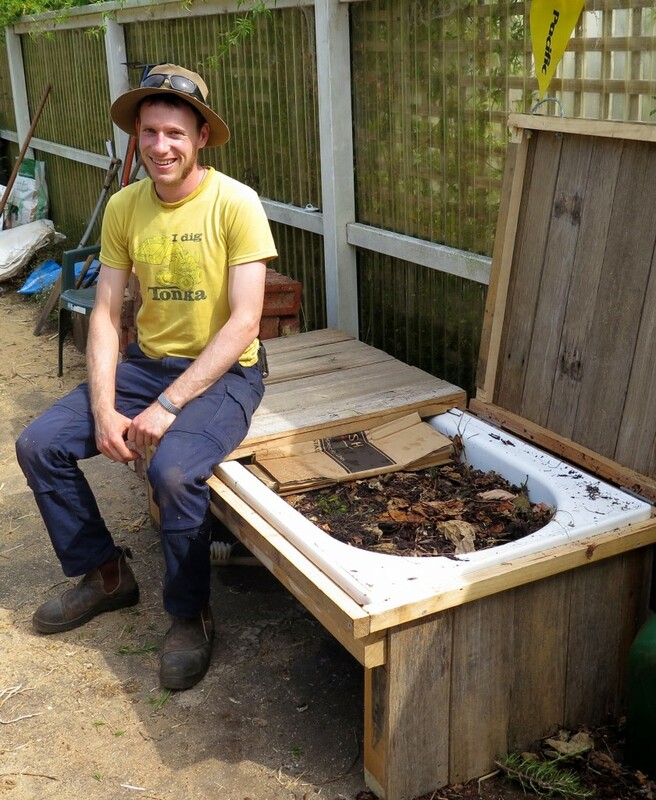 *OR* you can lower the height of the whole thing and turn it into a seat for your garden as we did below on one of our past permaculture design courses. Cool hey! You can read all about it over here. This is one we’re really excited about as it’s sooooo low-tech and sooooo effective in processing large amounts of food waste. As Fat Pig Farm have an onsite restaurant, there’s a lot of food scraps coming back into the garden to be composted. 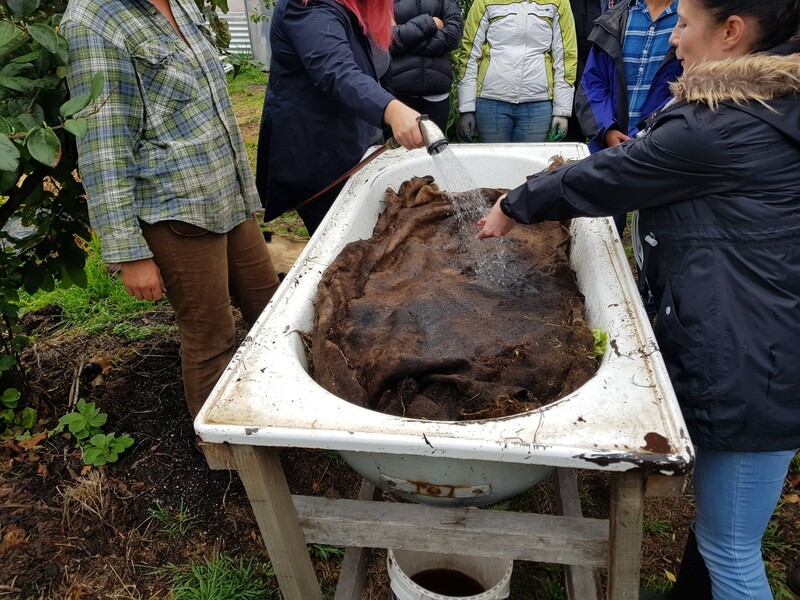 Recently, Nadia and friends built what I call a windrow worm farm and we’re thoroughly impressed with the speed of scraps being processed (8 weeks) into nutrient-dense worm castings. It’s simply a pile of hay or straw in a small, long mound. Food scraps are added to one end of it with moisture and a tarpoline on top. Every few days, take the tarpoline off and – using a garden fork, casually mix the food scraps in to make sure they’re getting processed evenly. 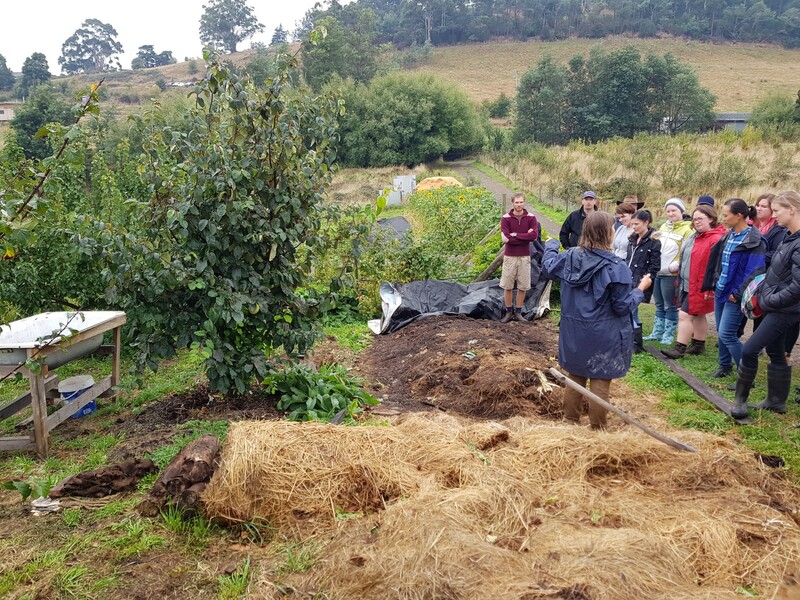 Slowly, you move along the windrow, adding more food scraps and letting the “full” area behind you be processed by the worms. 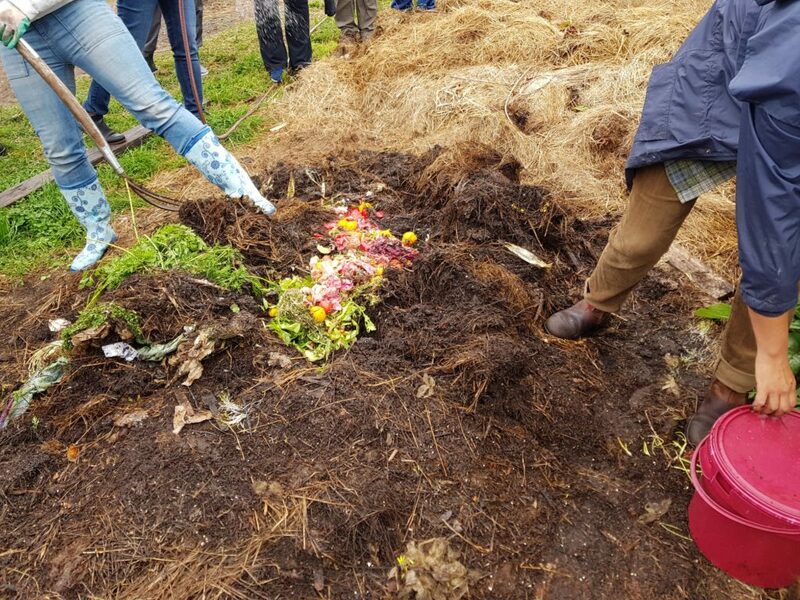 The worms will naturally follow the food, so most of them will move along the row as you move along the fresh injection of food scraps. 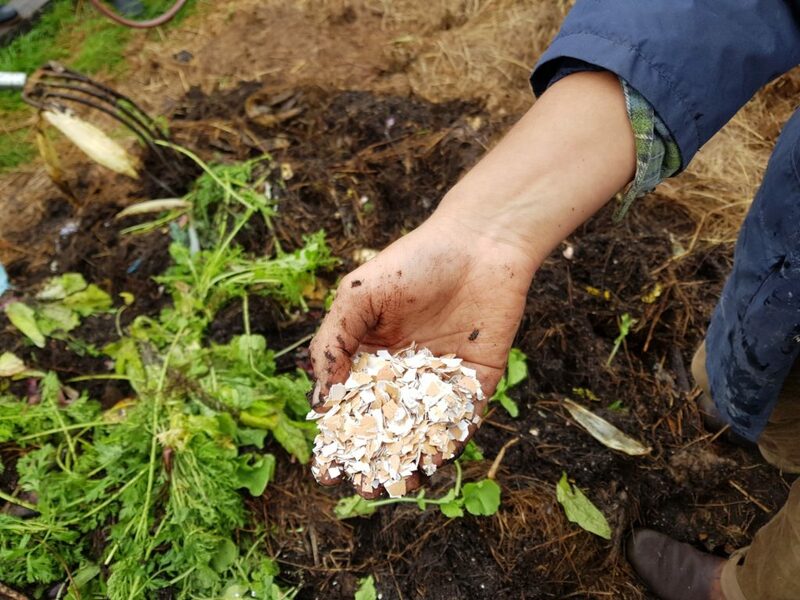 Nadia also makes sure that she puts in some crushed eggshells to provide grit for the worms – this helps the worms digest organic matter and adds calcium to the system. After 8 weeks, Nadia harvests mature worm castings for her garden. There are still some compost worms in there, but it doesn’t matter if some find their way into her *beautiful* market garden, they’ll be more than happy there. The only down side to this system is that you can’t harvest the worm juice. 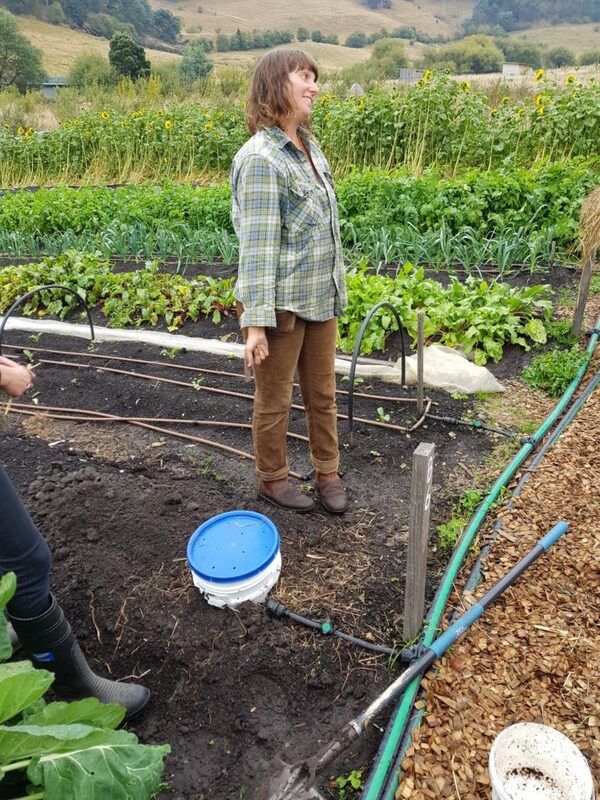 But really the benefits far outway this, and of course, you could build this system uphill or a productive garden which would benefit from the natural leachate – which is what Nadia has done. 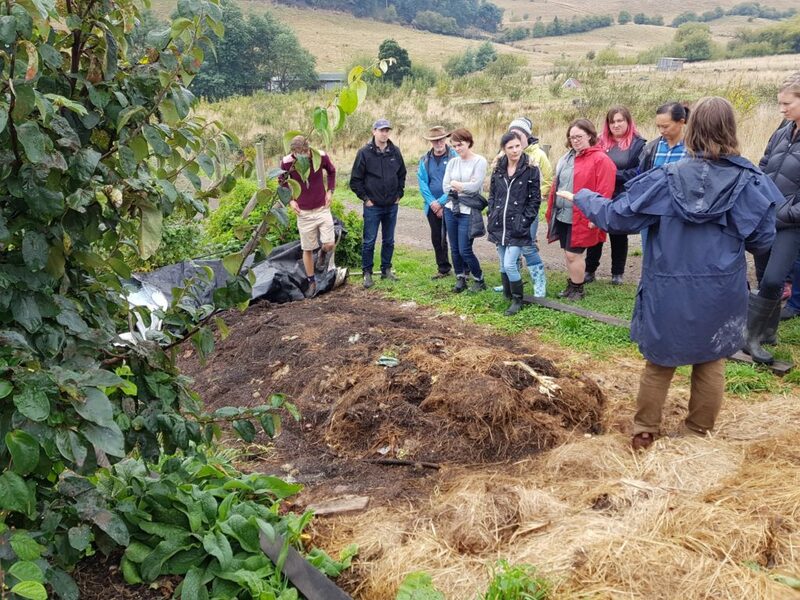 If you’d like to see more examples of worm farms, have a read of one of our older blogs here. Such a great aricle. Thankyou Hannah and Anton. Ive just made a bathtub wormfarm at our new place. Just wondering how often you can add to this system? Also is it best to add to one half at a time rather than spreading across the top? 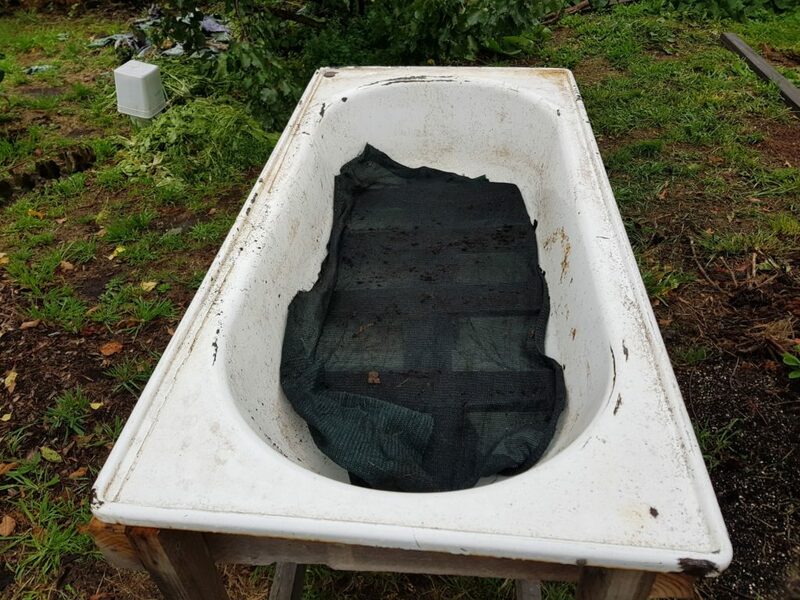 I’m keen on building a bath tub-bench type worm farm for our suburban backyard but am wondering if you have come across one with a sink built into the lid? I think the bench height would be perfect for potting/garden stuff, but the addition of a small sink would the BEST for washing veggies etc. Would it be too much water for the worms? (e.g. rinsing a few veg every couple of days before taking them inside for a proper clean). I Love the windrow idea, thank you for sharing it. Would you clarify the process for me. Am I to understand that the tarpaulin or tarpaulins should continue to cover all the processing worm farm up to the new hay as you move along for the whole 8 week period? This would presumably require more and more tarpaulin. Is that correct? Yes thank you, I realise that after 8 weeks it is removed, up until 8 weeks is all the working worm area up to the new hay covered? Or do you leave some of where you began the hay turning uncovered after a few days and just leave the length of the tarp over some of the windrow, up to the new hay as you work your way along? Perhaps there more detailed step by step instructions for this method available somewhere that I can source. Do you know of any? Sorry for all the questions? I appreciate your time. I see a tarp has been pulled back from the windrow. Is there any concern about plastic nasties leaching from the tarp?